ASUS has annouced launch of VivoBook 15 X510 with the latest Intel Optane Memory. This laptop runs Windows and is powered by the latest Generation Intel Core i5 processor with 4GB RAM +16GB intel optane total 20GB system memory and NVIDIA GeForce MX130 graphics. It also flaunts large capacity of HDD with 1 TB storage and also offers one-touch access via the fingerprint sensor. For responsive computing experience, this laptop comes with Intel Optane memory which enhances the speed of multi tasking with smoother and seamless load levels thus leading to better hard disk performance. This laptop sports a Full HD display of 15.6-inch laptop which provides an immersive viewing experience, owing to the 7.8mm bezel on the NanoEdge display, offering an 80% screen-to-body ratio. It is well supported by a 178° wide-view technology, thus ensuring optimum colours and contrast, even when viewed from sharp angles. 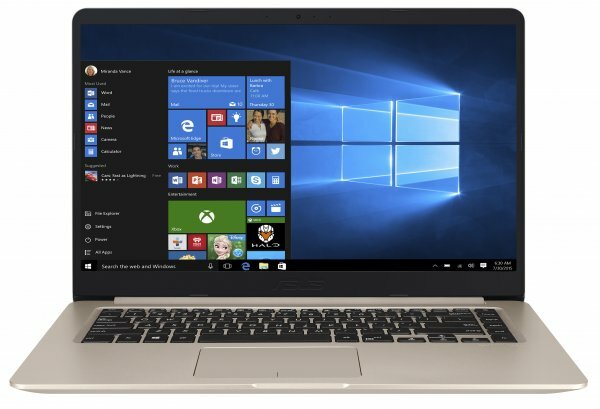 The VivoBook 15 UX510 is extremely portable and weighs 1.7 kg. Its battery claims to last for eight hours and comes with fast charge which reaches 60% in just 49 minutes. This has been enabled with ASUS SuperBattery technology, providing a 3X longer lifespan than the standard lithium-ion cylinder batteries. This laptop is priced Rs.45,990 and available offline at Asus exclusive stores and other retail outlets.